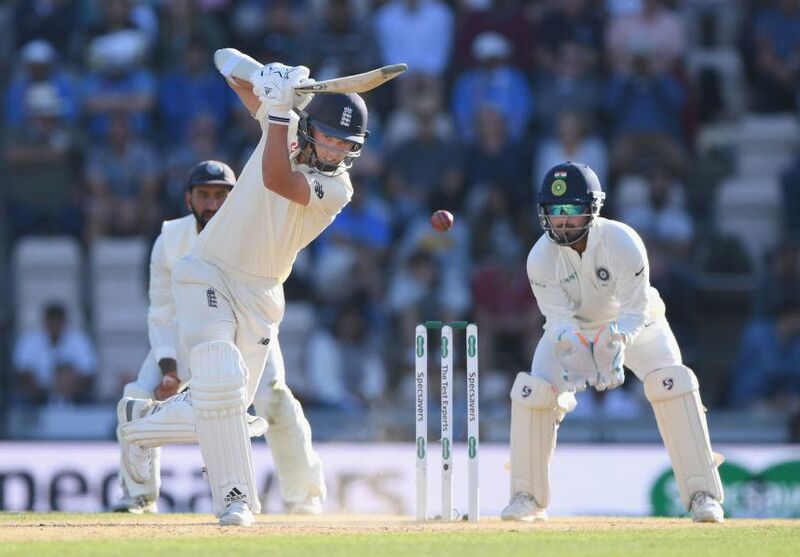 England’s position on the fourth Test at Southampton reached an overwhelming high as Jos Buttler and Sam Curran crushed India’s spirits after they had taken six wickets. With a lead of 233 and two days left, England will believe that can bat India out of the game and wrap up the series on a pitch with some uneven bounce and occasional sharp turn, after Buttler (69) and Curran (37*) help England close on 260/8. What made the day frustrating for India was how they squandered the advantage of having England at 122/5. A terrific over from Mohammed Shami, spanning the lunch interval and including the wickets of Keaton Jennings and Jonny Bairstow, followed by a direct hit from the same bowler to run out Joe Root, saw England struggle to impose themselves during the first half of the day. Alastair Cook (12) and Moeen Ali (9) fell inside the first hour of play – both edging to the alert KL Rahul at second slip to extend his tally of catches this series to 11 – on account of some excellent bowling from Jasprit Bumrah and Ishant Sharma. From 6/2, in effect, England were taken to the doorstep of lunch by Jennings and Root, who while never in control did succeed in doubling the score. Jennings tentatively poked and nudged his way through the first hour, from which England scored 29 runs. Wearing the confidence of a batsman facing the axe, the left-hander found his runs through dabs into the off side and tucks to leg. Welcomed to the crease by a chirpy Virat Kohli, Root had problems against pace and spin, but battled his way to 48 before Stokes called him for a quick single and Shami nailed a throw from mid-on. With Jennings (36), Root had put on 59 for the third wicket before Shami trapped Jennings lbw off the last ball of the morning session. First ball after the lunch break, Shami completed his over with the wicket of Bairstow who was bowled off the pad as he pushed loosely. There would be no hat-trick, but the reverse swing gained by Shami kept tormenting Root until he was run out by a smart piece of fielding from the bowler. Stokes was lucky to survive a ripped from Bumrah that squared him up, and was kept very quiet by R Ashwin who repeatedly brought him forward to beat the edge. Not for the first time this series, Buttler began in streaky manner by ending Ishant for four, just short of Rahul at second slip. Next ball, a flick for three put England’s lead past 100. Buttler’s first 30 minutes at the crease were nervous, and he appeared edgy in the moments leading into tea as England reached 150. After the interval, he was much more assured. A total of 83 balls separated England’s 18th and 19th boundaries, but that did not matter to Stokes and Buttler who were intent on embedding themselves. Ashwin ended Stokes’ obdurate innings of 30 off 110 balls by tossing one up wider to have the left-hander caught at slip. That dismissal meant Stokes has so far faced 443 deliveries in three Tests, only the fourth time that he’s had to front up to over 400 in a series. 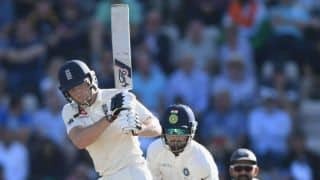 Batting with shades of Paul Collingwood in his prime, Buttler brought out the clip through midwicket and threaded the offside with some powerful drives, one of which brought him his fifty. He gnawed away at India’s psyche, nudging runs all around the wickets and placing the ball into gaps at will. 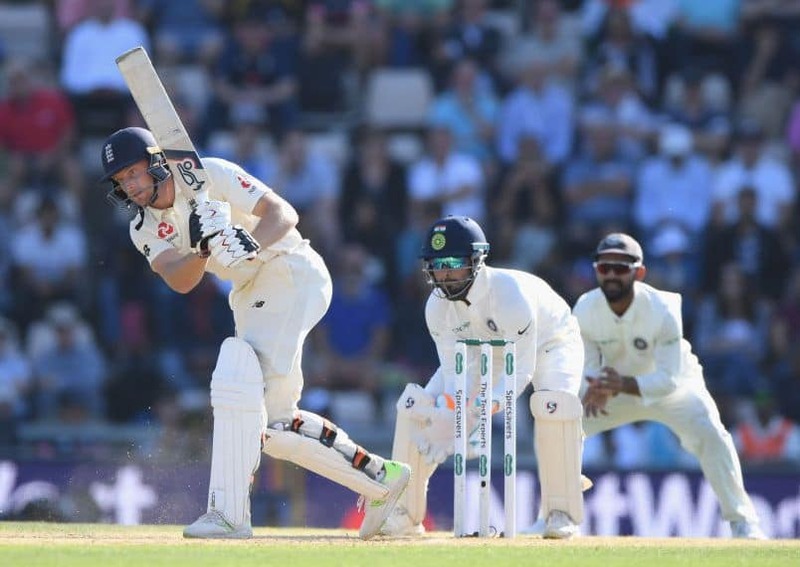 A delicate dab to third man for four underlined his confidence as the last hour of play began, but overall Buttler did not depart from the solid technique that has helped him score 421 runs in six Tests since being recalled in May. Curran showed the benefits of his first-innings 78, looking assured even if there were a couple close moments against Ashwin. 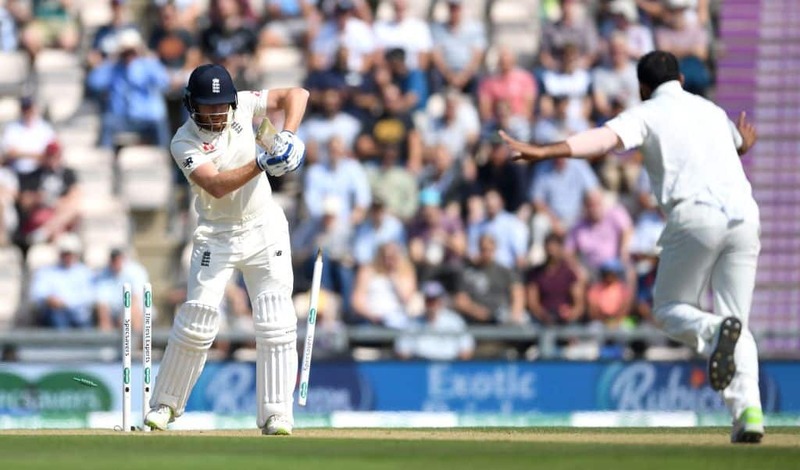 All through the series his punches off the back foot have indicated much time he has to play the ball, and this was another glowing example of how vital Curran is for England in such situations. 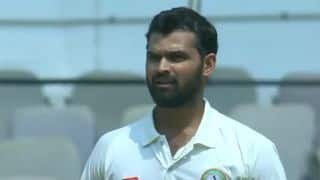 He was notably quick to pull anything a fraction too short – a clear sign of a batsman in form – and when the bowlers went full, he drove into the gaps. The new ball brought the wicket, with Buttler hit in line with the stumps by Ishant as he played all over an in-cutter. England’s lead was 206. That prompted Curran to crash Bumrah for two fours, and he was well entrenched on 37 when play ended with Shami having Adil Rashid caught behind for 11.